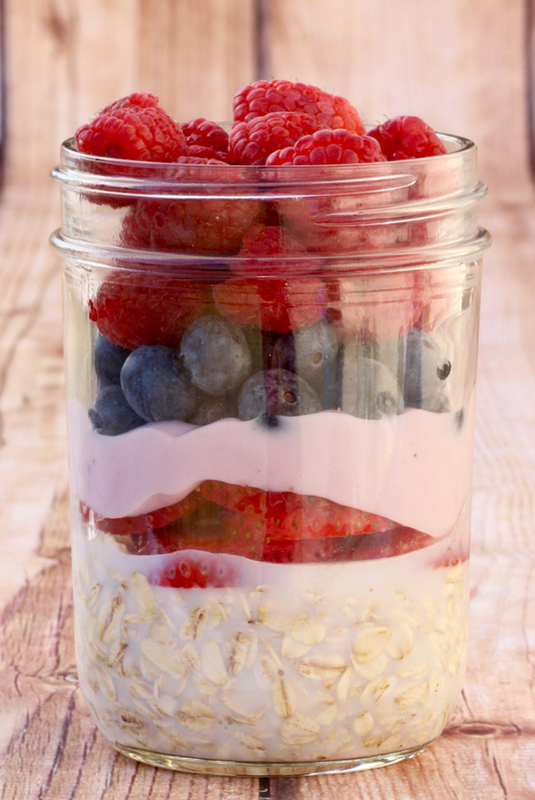 How would you like to enjoy a fusion of flavorful fresh fruit, yogurt, and oats every morning? This Overnight Oatmeal Recipe will leave you refreshed and energized to start your day! In this order, add into jar your Oats, Milk, Strawberries, Yogurt, Blueberries, and Raspberries. Cover with plastic wrap, pop in the fridge, and it will be ready to enjoy the next morning. Enjoy!